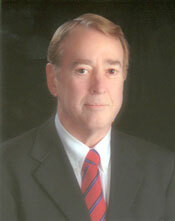 Dr. James H. Oliver, Jr. Mention his name around any entomologist or biologist, particularly in the South, and you’re likely to hear words like, “brilliant”, “hero”, and “icon”. 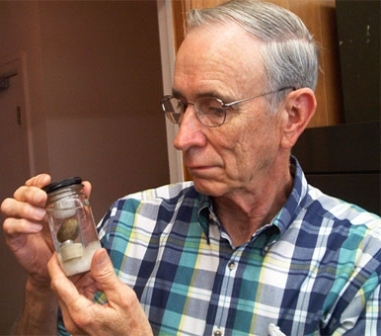 Dr. James H. Oliver, Jr. is a Callaway Professor of Biology Emeritus and Director of the Institute of Arthropodology and Parasitology at Georgia Southern University. Specializing in medical entomology and acarology, Dr. Oliver focuses on producing fundamental knowledge that can be applied to prevention and intervention of arthropod pests and vectors of pathogens important in livestock agriculture and biomedicine. Because Dr. Oliver has made such impressive contributions to research, he and his work are highly respected by scientists around the world in both the entomology and tick-borne disease research fields. In the South as early as 1992, Dr. Oliver documented Borrelia burgdorferi antibodies in mice from several states including Georgia, Alabama, Florida, North Carolina, South Carolina and Mississippi. He noted that southern mice often produce as many antibodies to the Lyme disease bacteria as mice in Connecticut. 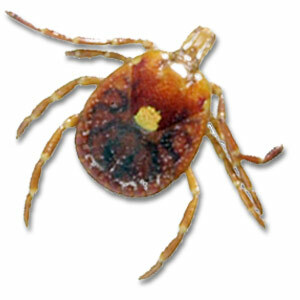 Dr. Oliver isolated the Lyme disease bacteria from black-legged ticks found off the coast of Georgia in 1993. He has since collaborated with researchers to document hundreds of strains of Borrelia burgdorferi obtained from thousands of tick and animal specimens from across the southeastern United States. Certainly one of the most important scientific contributions of Oliver’s career is his 1993 discovery that Ixodes dammini ticks were not a species in and of themselves, but a subset of the commonly found Ixodes scapularis species. To prove this, he mated Ixodes dammini ticks from Massachusetts with Ixodes scapularis ticks from Georgia and produced fertile offspring – a phenomenon that occurs only within a species. Prior to Oliver’s discovery, because Ixodes dammini ticks were not found here, many scientists believed Lyme disease was not endemic to the South. By proving that Lyme disease carrying ticks are indeed indigenous, Oliver’s important efforts have helped countless patients across the South obtain proper diagnosis and treatment. Dr. Oliver holds a Bachelor of Science degree in Biology from Georgia Southern College, a Master of Science degree in Zoology from Florida State University, and a Doctorate of Philosophy in Entomology from the University of Kansas. He completed a National Science Foundation (NSF) Postdoctoral Fellowship in Cytogenics at Melbourne University in Australia and served as a Biological Researcher for the U.S. Army Chemical Corp. In addition to his tenure at Georgia Southern University, Dr. Oliver has served as Assistant and Associate Professor in the Department of Entomology and Parasitology at the University of California, Berkeley, as well as Associate and Adjunct Professor in the Department of Entomology at the University of Georgia. Although Dr. Oliver’s Lyme disease research is of enormous significance particularly to individuals in the southeastern United States, he has nearly six decades of research experience spanning the globe. Dr. Oliver has conducted scientific investigations in Australia, Singapore, Japan, England, Scotland, Portugal, Egypt, Ethiopia, Uganda, Kenya, South Africa, Brazil, Colombia, Switzerland, Israel, Holland, China, Canada, Fiji, Thailand, Germany, Denmark, France, Czechoslovakia, and Taiwan. With 250 published papers, over 32 notes/abstracts, and 12 book chapters, Dr. Oliver has been awarded over twelve million dollars in research grants and contracts. He has lectured in twenty-four states and nineteen countries, and at universities including Harvard, Yale, Cornell and Texas A & M. He is a member or former member of over twenty scholarly or professional societies and is the recipient of dozens of prestigious honors and awards. Dr. Oliver’s recent collaboration with scientists has again led to new discoveries: two newly identified species of the Lyme disease bacteria, Borrelia burgdorferi, have been found in the South. They have named these Borrelia americana and Borrelia carolinensis. If these new Lyme disease species are found to cause disease in humans, their discovery may help suffering patients not only in the South, but also in other parts of the country and world. It is with sincere appreciation that the Georgia Lyme Disease Association recognizes this amazing scientist and his tremendous body of work. Thank you, tick expert Dr. James Oliver, Jr. for your invaluable contributions in the study of tick-borne disease pathogens, especially in the southeastern United States. We are proud to salute you! Note: Some of Dr. Oliver’s work is featured in Chapter 28, Hole in the Donut, in Pamela Weintraub’s book, Cure Unknown: Inside the Lyme Epidemic. Thanks to Lyndsay Sweeney for her assistance in writing this aritcle. Lorraine Johnson, JD, MBA is a leading attorney advocate on medico-legal and ethical issues related to Lyme disease. She is the Chief Executive Officer of the California Lyme Disease Association, which oversees 46 internet state-based groups, and serves on the professional advisory board of the national Lyme Disease Association, which represents 35 groups in 23 states. She is also a director and an officer of the International Lyme and Affiliated Diseases Society (ILADS) and a member of the Cochrane Consumer Network for Cochrane evidence-based reviews. She maintains a popular advocacy blog at www.lymepolicywonk.org and is a frequent contributor to the Lyme Times. Lorraine has spoken before state legislatures, the CDC, and, at the request of the Canadian government, participated in the Canadian Lyme consensus conference. She is a regular speaker at the Lyme Action Program hosted by CALDA and has spoken before ILADS. 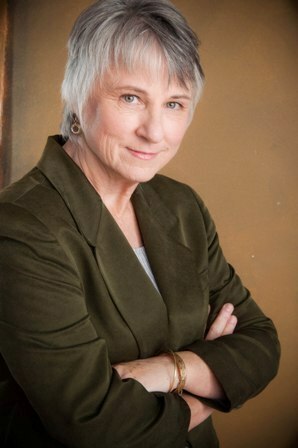 Together with New York-based antitrust Attorney Richard Wolfram, she developed the antitrust legal theory regarding the development of the IDSA 2006 Lyme disease guidelines and worked with CALDA, the LDA and Time for Lyme (TFL) to bring the antitrust issues in the Lyme guidelines to the attention of the Connecticut Attorney General. The investigation unveiled extensive conflicts-of-interest among the guidelines development panel members and a deeply flawed process that suppressed divergent points of view and excluded evidence regarding the persistence of Borrelia burgdorferi in patients with chronic Lyme disease. The investigation ended with a settlement agreement that required the IDSA to hold hearings to allow the full spectrum of evidence before a new panel that was screened for conflicts-of-interest. Lorraine worked with ILADS physicians to prepare their evidence submission, which consisted of 300 pages of analysis and over 1,300 pages of peer reviewed research. In addition to working with ILADS speakers on their presentations for the review hearing, she spoke to the panel about patient access to health care – an issue created by the IDSA guidelines- and medical ethics in guideline development. In anticipation of her presentation before the IDSA hearing, Lorraine conducted the largest-ever Lyme patient survey on access to care. The survey drew more than 4,000 responses and provides robust data that can be used to inform policy-makers about Lyme disease. The Georgia Lyme Disease Association is honored to take this opportunity to thank Lorraine. As our citizens continue to express their great trepidation about the overwhelming influence of special interest groups in our country, Lorraine’s resolve to address tough medical ethics issues is refreshing. Her overall commitment to truth, fairness, and justice is quite evident in reading her publications and blog. We appreciate Lorraine’s calm, sensible approach; her clear and logical problem solving skills; and her profound dedication to helping others. Her integrity, coupled with her applied expertise, create an invaluable voice not only in the worldwide Lyme community, but in patient health care across the board. We are forever grateful to you, Lorraine! Thank you! A complete list of Lorraine’s publications is available at www.lymepolicywonk.org. Dr. Ed Masters was one of the leading Lyme disease physicians in the world. He was known internationally for his work with Lyme disease and spent the majority of his career researching, documenting and treating tick-borne diseases. 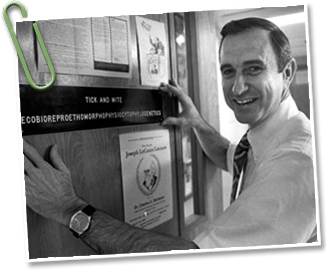 His success in documenting numerous Lyme disease cases in his Missouri practice led to the CDC naming this version of Lyme in the South after him; Master’s disease. Dr. Masters was born July 30, 1945, in Poplar Bluff, Missouri. He graduated from Advance High School in 1963 and was valedictorian of his class. He received his B.A. degree from Dartmouth College in Hanover, New Hampshire in 1967 and his MD from the University of Tennessee in Memphis in 1971. He practiced medicine in Cape Girardeau, Missouri and the surrounding vicinity from 1972 to 2006. He was a Diplomat of the National Board of Medical Examiners, a Fellow of the American Academy of Family Physicians, Board Certified in Family Practice and a Diplomat in Geriatrics. Dr. Masters loved being a doctor and relished solving complicated medical mysteries. He worked hard on his ideas for improving medical care, which resulted in the granting of seven U.S. medical patents. He developed and patented a mosquito and tick trap, the "Skeeter Plus”, which is approved by the FDA and is totally "green"…it’s the only one in the U.S. not dependent on the use of propane. With an insatiable curiosity, Dr. Masters published 53 peer-reviewed articles in major journals. He was a mentor to many young aspiring physicians and was extremely active in numerous professional organizations. He served as president of Cape Girardeau County Area Medical Society, was speaker of the House of Delegates of the Missouri State Medical Association, a member of the American Medical Association and chairman of EICS: Emerging Infections in the Central States Research Group. Dr. Masters was the featured speaker at many international and national medical conferences and received numerous awards for his research in Lyme and vector-borne diseases. He was known for his brilliant intellect, wisdom, integrity, optimistic spirit, perseverance in the face of great obstacles, humanity, love of his family, and his unique, contagious laugh. Most of all, Dr. Masters showed compassion to his fellow human beings. Doctors from all over the country would refer their patients to Dr. Masters advising he was, “the one man who might help them.” When patients were too weak to drive to his office from the airport, he would go to them. He saw patients from all over the country. Some patients reported that if they had no insurance and could not afford to pay, Dr. Masters would help them anyway. “"He was probably the most decent person I met in my entire life," said former patient, Paul Walters. "He always tried to make sunshine out of the rain." Dr. Masters died on June 21, 2009 at the age of 63. He will always be remembered as a true hero by Lyme disease patients everywhere, both for his kind and caring spirit and for his resolve to always stand up for the truth. On this page we'll pay tribute to individuals who are dedicated to making a difference in the lives of the hundreds of thousands of people with Lyme and/or tick-borne diseases. Watch for updates periodically. linked, simply click on titles. Out of 3,500 respondents, 58% remained ill after treatment under IDSA protocols. More than 60% of these improved with additional courses of antibiotics. - Dr. Edwin J. Masters, M.D. Bull's eye rash documented by Dr. Masters after the bite of a Lone Star tick. "CONCLUSIONS: Lone Star ticks are associated with rashes that are similar, if not identical, to erythema migrans associated with borrelial infection. The recent isolation and cultivation of Borrelia burgdorferi from ticks (including 1 Lone Star tick) from the farm of a patient included in this report has raised the possibility that Lone Star ticks are "bridge vectors" for human borrelial infection. Although further investigation is needed, these rashes may be secondary to spirochetal infection."